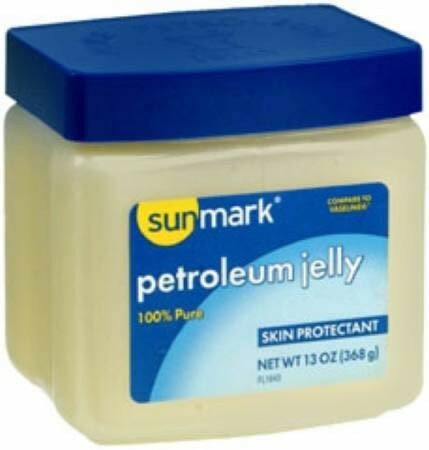 SunMark Petroleum Jelly, White Petrolatum, BUY, Petroleum Jelly Skin Protectant, 1093905044. 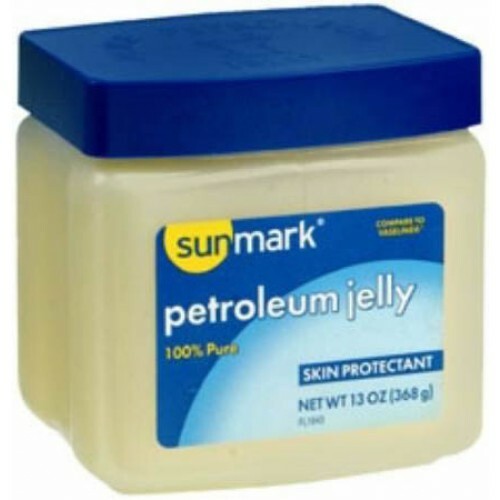 SunMark Lubricating Jelly, manufactured by Mckesson, is a pure Petroleum Jelly that is so versatile. This White Petrolatum Protectant Jelly is designed for use as a lubricant, a skin protectant, and for temporary relief from the irritation. This Skin Protecting Lubricant is perfect for protecting the skin from moist conditions, as well as, minor scrapes, rashes, and burns. Only use Petroleum Jelly on burns if the skin is intact, unless otherwise instructed by a doctor. Petroleum jelly works well for protecting the skin. I use it on my hairline before coloring my hair. It quells the reaction I usually have to the hair die.